Paris: A French journalist has been killed in Mosul after a mine exploded in the war-torn city, public broadcaster France Televisions said on Tuesday. Stephan Villeneuve and two other French journalists were injured in the explosion on Monday in Iraq's second city that killed Kurdish reporter Bakhtiyar Addad, according to France Televisions and global journalist rights watchdog Reporters Without Borders. Villeneuve later succumbed to his injuries, the broadcaster added. "The management and staff at France Televisions sympathise with the pain of his partner Sophie, his four children, his family and all those he was close to. They offer their most sincere condolences," the head of the news department said in a statement. A video journalist who had covered a number of conflicts across the world, Villeneuve was filming a piece together with Veronique Robert on the battle of Mosul for French news programme Envoye Special, aired on public television channel France 2. They were both taken to a hospital on a United States military base following the explosion. Reporter Samuel Forey, who worked for a number of French media organisations including French daily Le Figaro, also suffered light injuries. "I am very sad for Bakhtiyar and my colleagues, I ask you to not contact me for a couple of days," he wrote on Twitter. 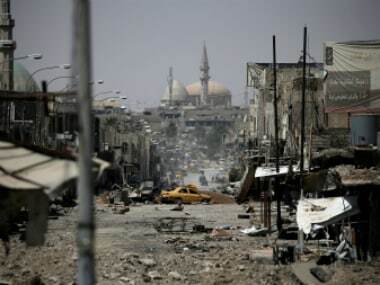 The journalists were accompanying Iraqi special forces during the battle to reconquer Mosul from the Islamic State (EI) group, where some 1,00,000 civilians are being used as "human shields" by jihadists, according to the United Nations.